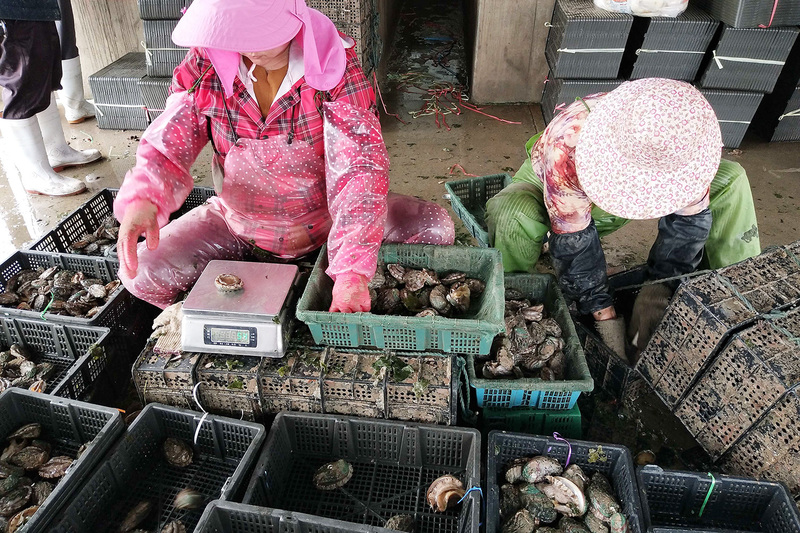 Workers subpackage freshly caught abalone according to their size and weight at a dock in Rongcheng, Shandong province, October 9, 2017. Cape Town-based journalist Kimon de Greef joins Eric and Cobus to discuss the lucrative illegal abalone trade between South Africa and China that threatens the survival of this prized shellfish. The abalone trade, according to recent reporting by de Greef, is fueling the expansion of organized crime syndicates into the donkey skin trade where surging Chinese demand is pushing up prices around the world.